Helmsley 2 weeks ago, sweet. Sweet?? Your eyes alright after that widow's venom pete ? 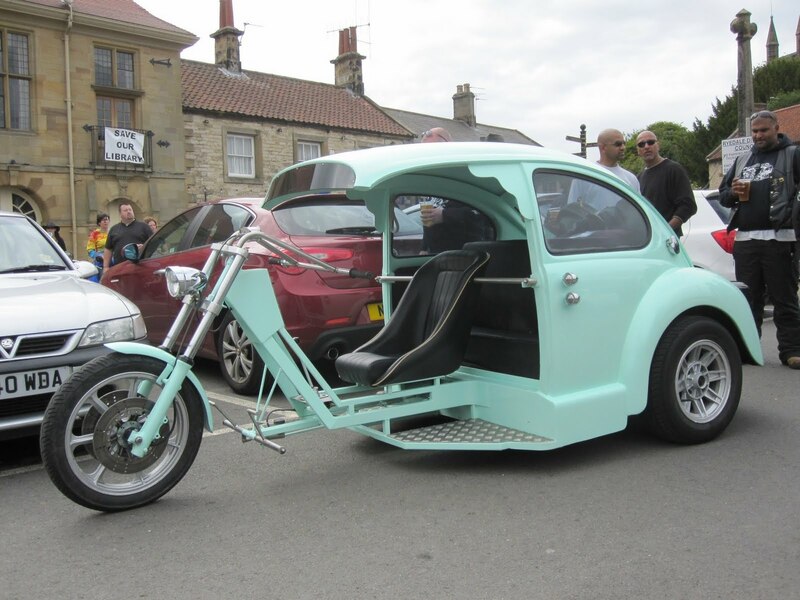 Some silly sod has attached the front of a motorcyle to the rear of a vw !!! Its part of 80s UK trike chopping history Steve, right or wrong, sweet or shite, freak or unique ? I could never quite understand how they didnt fill up with air like a parachute then just grind to a halt. Personally i would always favour a Skoda back end. Pete go to the garage look at the Triumph for a while. Only got started because somebody didn't have anything for an NCC run Historic agree consigned to History preferable!! Spend way too much time with the Triumph in front of me already Kev.